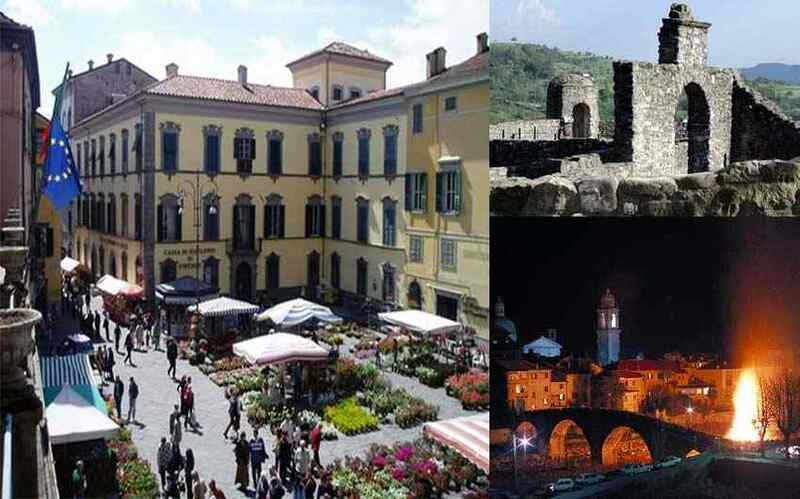 Pontremoli is the city of the…… “church bell”. 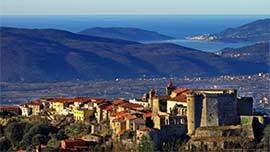 You can see here the artistic towers “included” in mansions of the 1600s, one of the oldest theaters of Italy, various prehistoric pieces gathered in the Piagnaro castle. It is a town that has treasures of art in its churches, its baroque paintings, and its craftsmanship masterpieces. You must stop at the Dome (Duomo) in San Colombano where you will be able to see a rare marble statue of Agostino di Duccio. You must also visit Our Dame (Nostra Donna), elegant with its baroque shapes, and Annunziata, with its masterpieces of the carved sacristy, the small temple of Sansovino, and the paintings of Cambiaso. In San Pietro (Saint Peter), it is possible to accomplish the gesture of faith of the ancient pilgrims, following with the finger and the prayer the path of the stone labyrinth .